It's hard to believe that it has been seven years since the last Craft record. These guys have, in many ways, defined the spirit of black metal since their formation in 1998. There uncompromising and demented sound is intense but never strays too far from the eponymous white noise. That's part of the appeal though. You find yourself getting lost in the weird electric guitar stomp of these songs as the band jumps from peak to peak. This is Craft at their finest, inverting crosses and crushing skulls across the globe. From the first when Craft blaze into your speakers with monstrous hit, The cosmic Sphere Falls it's clear that they have only gotten better with age. 20 years and three decades into their career, these Swedes have refined a sound that is not only classic but also unforgettable. There is a certain mystic eeriness to these songs, as if they operate on a different plane of existence. You can feel yourself easily getting lost in the satanic ministrations of White Noise and Black Metal but what more could you expect from a band who once recorded a song called, 'Ultimate Satan'? This is uncompromising and demented black metal at its finest. There has always been something strangely meditative for me about Craft's work. 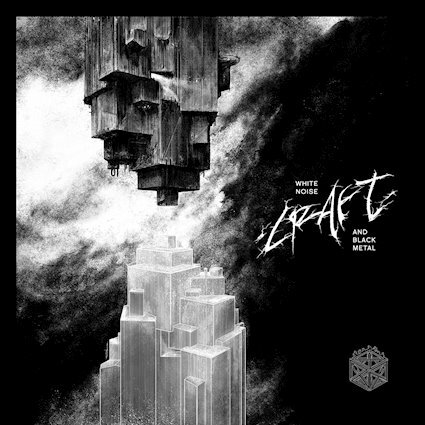 This is something that they tap right back into with White Noise and Black Metal, while they certainly play on the tropes that make Craft, Craft they also have grown as songwriters. It's what you'd expect from a band who have been pretty much off the recording map for nearly a decade. As is - it's a blast to get lost in the blasts. To find meaning in the riffs and the waves of distortion to guide you on a see oof white noise and black metal to demented absolution.